Firstly, I’d just like to say thank you to Producer, Eric Sonnenburg for allowing me early access to the German, Action/Crime/Comedy film “Schneeflockchen” aka “Snowflake”, Written by Arend Remmers and Directed by Adolfo J. Kolmerer. Snowflake is a Tarantino/ Kaufman esq inspired crime film set in Berlin in the not too distant future. 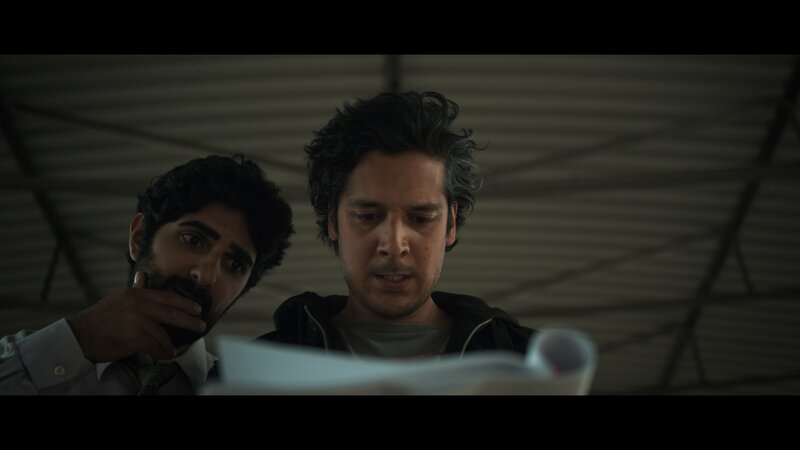 Self appointed brothers, Javid and Tan (played by Reza Brojerdi and Erkan Acar respectively) are on a mission to hunt down the man responsible for the destruction of their homes and the eventual death of their families. The two men stumble upon a screenplay written by a man named Arend (Alexander Schubert) and quickly realize the seemingly innocent dentist is now in fact in control of their destiny. Thus entangling them in a vicious circle of revenge that involves an orphan (played by the lovely Xenia Assenza) and her bodyguard (David Masterson), a couple of backwoods brothers in Bolek and Dariusz (Adrian Topol and Antonio Wannek), a superhero by the name of Hyper Electro Man (played by Mathis Landwehr) and Snowflake, an angelic singer (Judith Hoersch). The film also stars Gedeon Burkhard, David Gant, Eskindir Tesfay, Selam Tadese and Martin Goeres. Now I’m not sure how I initially came across Snowflake, but I recall seeing the trailer which evoked a number of similarities to some of Tarantino’s work, namely with its crime sub-plot and non-linear timeline. The thing that’s so nicely balanced with the nods in Remmers screenplay, and even more so with Kolmerer’s vision, is that while the inspiration behind it is clear, it’s still uniquely worked into the film and done so organically. There’s simply too much creativity on display here to divulge in one brief summary or review, and what’s so clever about this type of film is how challenging it is to get right. I’m not surprised this took three years to make, because Remmers is channeling two layers of a story within a story and had to get complete coverage for continuity sake. The action and revenge portion of the film takes its cues from underrated films like Joe Carnahan’s, “Smokin Aces” and even Troy Duffy’s, “The Boondock Saints” but the character interaction is often darkly humorous, much the same as in Tarantino’s writing, so all of that comes into play before the characters even start to tackle their own narrative. We’ve seen the struggle of the artistic process depicted in films like “Adaptation” and we’ve seen characters who don’t know that they’re characters, such as in “Stranger Than Fiction”, but it’s an entirely different complexity in the confines of a crime film. Remmers intention was clearly to highlight the struggles and frustrations of being a writer. Your desired tone, the back and forth on character arc, reaction based action, all of it. I’ve only just scratched the surface of script writing and I can already relate to those frustrations. Snowflake entertainingly presents both the comedy and the drama of those internal deliberations. Despite Snowflake having been shot almost entirely on hacked DSLR cameras, Konstantin Freyer’s cinematography is unbelievably crisp and quite dynamic given the film’s budget and resources. Everything is nicely framed and there’s a series of great quick cuts during a sequence where Javid and Tan leave the kebab shop, throw their stuff in the car and drive away. There’s also a couple of wonderful aerial/overhead shots, the first, reveals the result of something that occurred earlier in the shop, and the second, a grand view of a long and wide staircase in Eliana’s apartment (the orphan girl). The audio levels are clear and the English subtitles interpreted correctly. Most of Snowflake is either set during the day or internal (so you don’t know it’s night) but all the lighting still looks good. The standout scene is with silhouetted light peaking through the blinds of Eliana’s apartment as she’s interacting with Carson (the bodyguard), that looked great. I have to commend Roman Fleischer on his score for the film as well. Sections of the dramatic score are effectively conveyed with percussion, but when the action hits, the desired vengeance is built with a low-fi electric guitar playing Morricone like western tones (Django Unchained and Once Upon A Time In The West). Snowflake isn’t as heavy on the action as you might think, but that’s not to say it isn’t without its havoc. There’s a well choreographed shootout in a bar during the second half of the film and there’s a fair share of practical blood spray too, though the best death involves the use of Javid’s chainsaw. Snowflake’s ongoing film festival success can be chalked up to the quality of Arend’s script, as well as its colorful characters. This isn’t a film that relies solely on one plot detail or action set piece. Right off the bat we’re introduced to Javid and Tan, two young guys who are amidst an argument over the quality of food in the establishment they’re frequenting (a little Pulp Fiction about that). It’s clear these two have known each other a while, they’ve got a short hand resulting in plenty of good banter during their interactions over the course of the film. We come to learn that they’re looking for someone from their past. Then we pick up with the stunning, Eliana (Assenza) and her English bodyguard, Carson. After a short discussion on revenge regarding the deaths of Eliana’s parents, Carson decides to introduce Eliana to his father, Caleb (Gant), a self-proclaimed god who just so happens to know the right people (or wrong people if you’re that way inclined) to enact Eliana’s specific form of revenge. From there we’re introduced to a multitude of lively characters that include the previously mentioned Snowflake and a brother duo involved in cannibalism, as well as another couple of crazy killers and their robotic servant, and an oppressor from the past (Burkhard). There’s some fine casting in the film, particularly with Gant and Masterson as father and son, they really do look the part. There isn’t a weak link in the cast either, each of the performances are of a high standard regardless of previous experience. The characters are all equally as intriguing and you don’t quite know all there is to know about them until the mysterious dentist finishes the script. Snowflake runs for almost two hours and unfortunately it does lag in a few places, even if only momentarily. I think it could have either carried a little more action (if the budget allowed for it) or perhaps should’ve been cut down by ten to fifteen minutes. The only specific plot point that annoyed me was that Dariusz was a mute, and therefore spent his screen time grunting like a pig, it was a little silly and I’d rather him not have said anything (thankfully it was minimal). Burkhard’s character “Winter” intermittently appears in an interview feed where he imparts his words of wisdom on the viewer. I was a little lost on that aspect of the film. Was it simply just a social commentary on highlighting the ways of modern society and that need for change, or was it all just another layer of the fictional story? I’m not too sure on that. Snowflake is an ambitious German film, a labor of love built utilizing a miss-mash of genres presented in a non linear fashion. 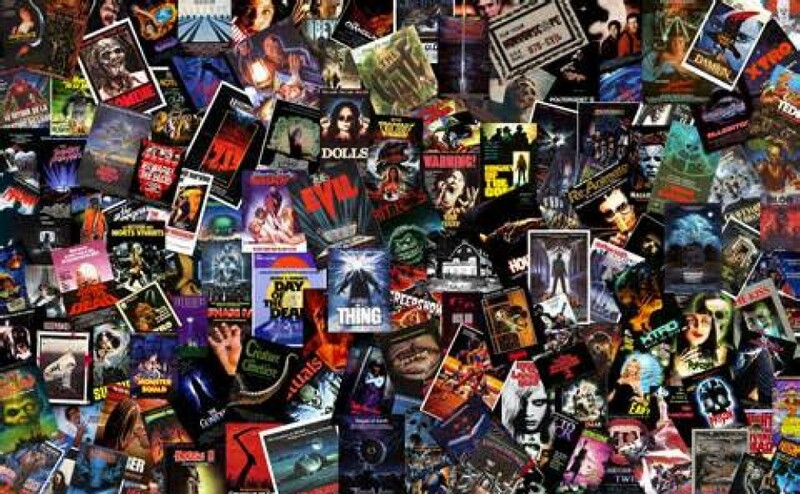 It eventually organically transforms itself into a meta representation of what it means to be a writer, all the while still keeping its firm hold on that Tarantino inspired flair. The cinematography is impressive, the audio clean and the lighting consistent across all scenes. Roman’s score is memorable and the practical effects and action are strong when they’re on show. I enjoyed watching each of the individual characters arcs and in turn the respective performances, particularly the Javid, Tan and Eliana characters. Caleb was rather theatrical and reminded me of Billy Connolly’s character from “The Boondock Saints”. Plenty of the others had their moment to shine as well. The film is a fraction long, causing it to lose a little momentum at times and I’m not entirely sure where the commentary fits. A few of the specifics were neither here nor there, but in the end Snowflake is intelligent and entertaining storytelling and I’m sure people are going to continue to lap up this style of film making. You can check the trailer out at the link below, be sure to keep an eye out for this one soon!